Consistenthigh productivity and flexibility with maximum precision are the requirementsfully automated wire processing has to meet, both today and in the future. KS-T311 is designed for two-sided cutting, stripping, crimping, plus two-sided automaticsleeve wearing function. Highly dynamic servo motor and V stripping bladesallow the machine to process wire cross section ranging from 0.08 mm² to 2.5mm² (AWG13 ~ AWG28) depending on the material. 4 mm² and 6 mm² are alsoavailable as an option. 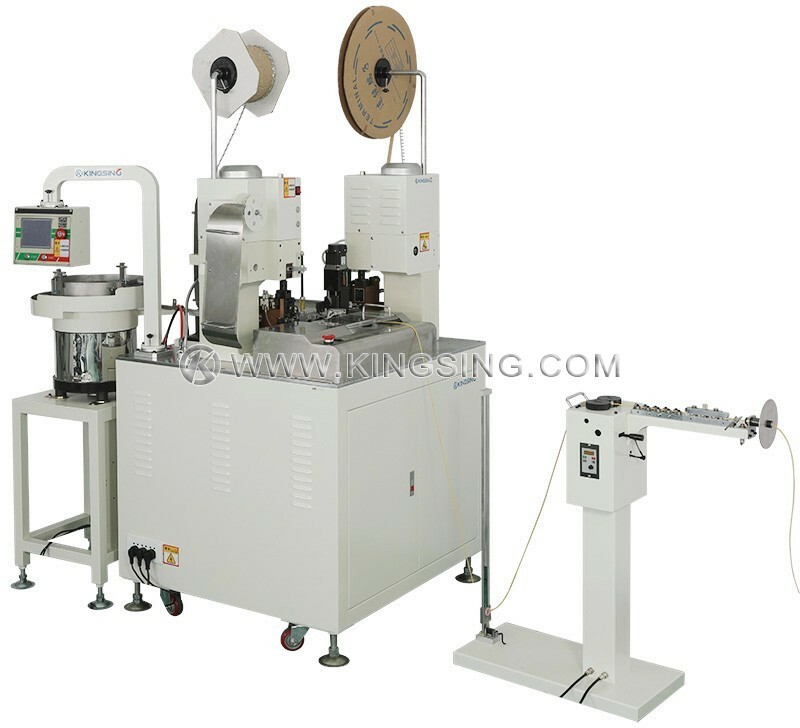 As part of its standard equipment, the machine has apre-feeder, wire-end and knot detection, as well as two wire straighteningunits. 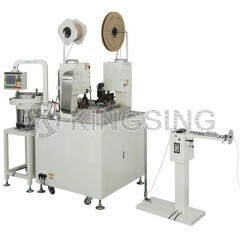 The integrated pre-feeder assures gentle wire feed from drums, coils orreels even at high draw-in speeds. The machines process conductors with Allrequired processing parameters such as wire feeding speed, cutting length,stripping length and crimping depth can be set in and saved in the LCD touchscreen. The wires and terminals are handled carefully, gently during cutting,stripping and crimping procedure. 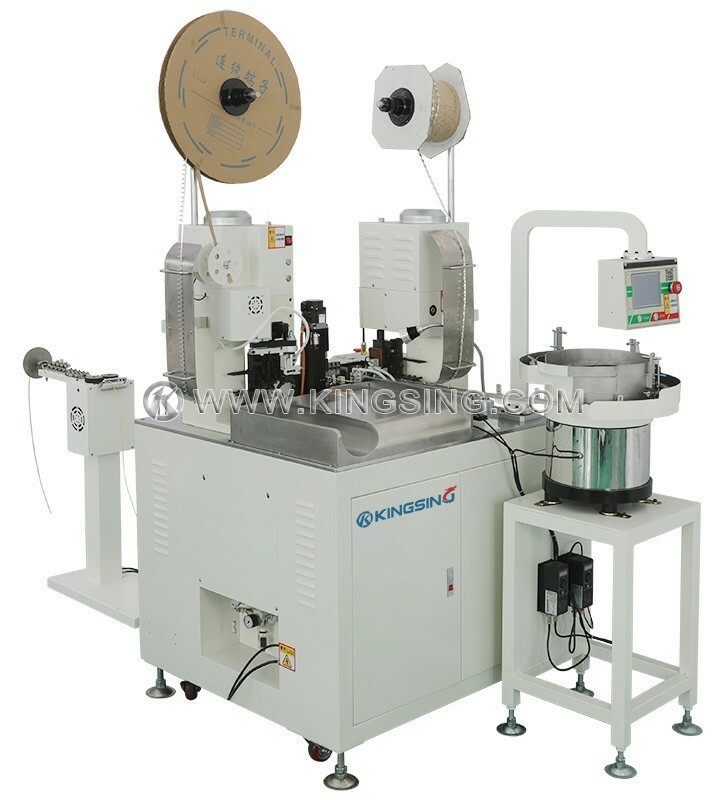 Thismachine is suitable for both OTP side-feeding die as well as OTPstraight-feeding die, we can customize the machine to apply to other dieaccording to customers’ requirements. If you have special die set, we can changethe machine to fit your die (for example: JST, Molex, AMP and other brand dieset are both customizable) This feature greatly improved the flexibility ofits application and increased output largely. 1. Designa vibration plate for loose terminals, automatic feed terminals to crimpingdie. 2. Installa wire conveyor belt for processing long wire (such as 2 meters long wireprocessing). 3. Add apressure monitor system to monitor each terminal's crimping force. 4. Change themachine to fit other brand die set. 5. Otherfunction the customers require to implement.